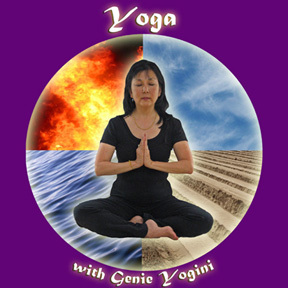 "Gentle Yoga and Meditation" - the perfect way to relax your mind and body. Let your body flow and glow. Release your energy and add power to your dance by practicing the art of yoga and meditation. Genie Nakano is an award-winning choreographer, performer, and teacher of dance. Her background in dance is extensive. She received a Masters of Dance from UCLA, 1979. It was at UCLA where she was able to study a variety of Ethnic forms such as West African, Yemenite, Balinese, and Indonesian. She performed for Fadelma's African Dance troupe. After graduating from UCLA, she met and worked with actress/dancer/singer Eartha Kitt. From Ms. Kitt she learned Dunham style Afro/Caribbean. She danced with the Kitt dancers for 3 years. Genie was the recipient of the prestigious California Arts Grant for 5 years. She also was a guest artist for the Music Center on Tour performing arts program and developed many Ethnic Dance Arts programs for the Los Angeles Performing Tree Programs. During this time she immersed herself in Ballet and Jazz/Modern. She performed and acted with the Asian performing group Great Leap. And in 1985-1988, she was the Assistant Artistic Director for Collage Ensemble, a multimedia performing group. She was responsible for choreographing, dancing, and acting the company's repertoire. Currently, she is fascinated with Southern Indian Classical Dance forms. She performs regularly with Radha Carmens Mohiniattam Dancers. After discovering Belly Dance, the rest is history. Genie found a dance form that was immediately very natural to her. The soft undulations of the spine are rhythmically relaxing to the body and the shimmies a fun new way to release bound energy. Getting the Chi going is how she describes shimmies and undulations healing. She discovered the art of grounding one's self and working more internally. Western Dance is about conquering space and defying gravity. Middle Eastern dance is more connected with the earth and an internal journey. It is about going within and finding one's own unique expressions. A whole dance can be performed in one small space by working with generous body isolations, subtle hand gestures, and facial expressions. Genie fuses her background of western and ethnic forms into her Middle Eastern choreography and dance classes. She feels all of them embrace each other in a dynamic blend. She brings the spirituality of Indian Dance, the force and rhythms of Afro/Caribbean, the line, balance, and grace of ballet into Belly Dance. Almost all of her dances reflect this fusion. 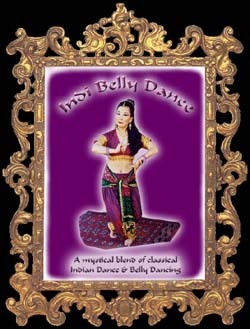 Genie teaches Belly Dancing for Mixed levels PLUS Bollywood Dancing, Chi Gong and Yoga at her studio in Hawthorne, CA. Contact her for more information. Bollywood class at El Camino Community College: The new dance rage is Bollywood Dance!! It's a hot, sassy, mixture of Belly Dancing, Classical and Folk Indian dance packed with the exciting rhythms and songs of India's Bollywood film industry. It's a fun and great workout. Genii has been performing classical Mohiniattam Indian Dance for the past 6 years and has traveled to India several times to gain indepth knowledge of Indian classical, gypsy and Bollywood dancing. She recently spent a month studying gypsy dance in Rajasthan.